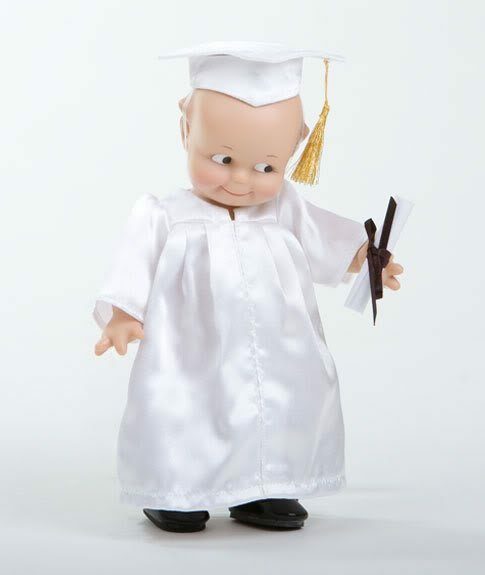 This smart little Kewpie is ready for a diploma! 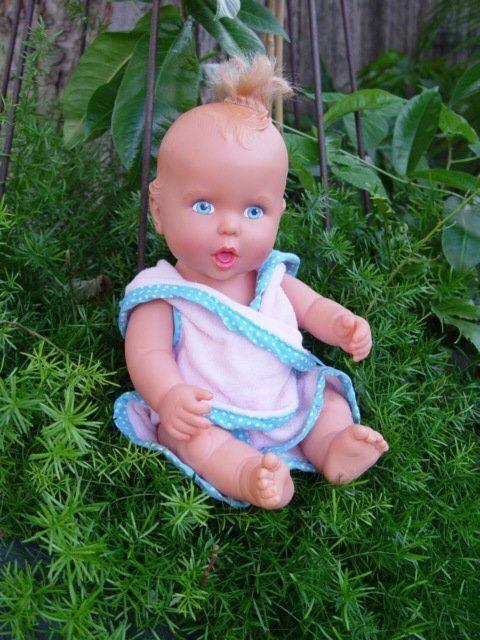 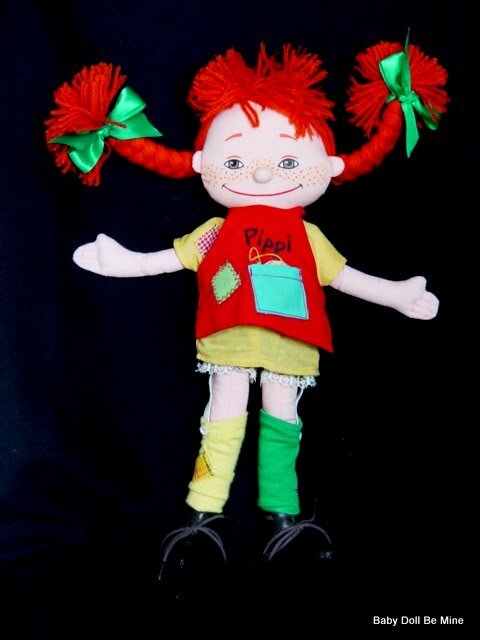 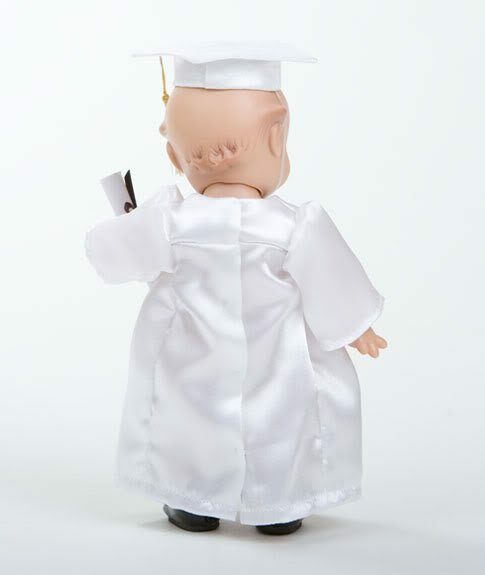 Kewpie is 8 inches and all vinyl with joints at the neck, arms, and legs. 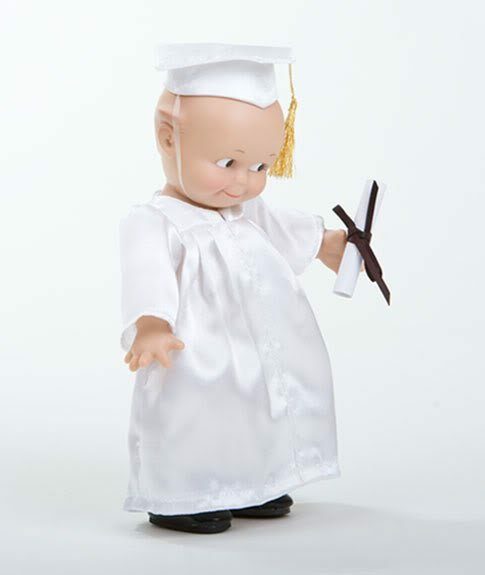 Kewpie has brown hand painted eyes and is wearing a white cap and gown set complete with tassel and a diploma. 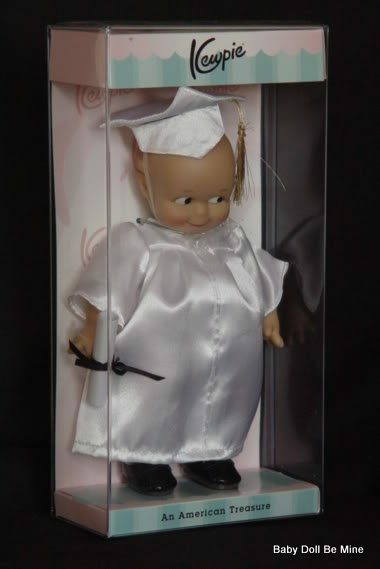 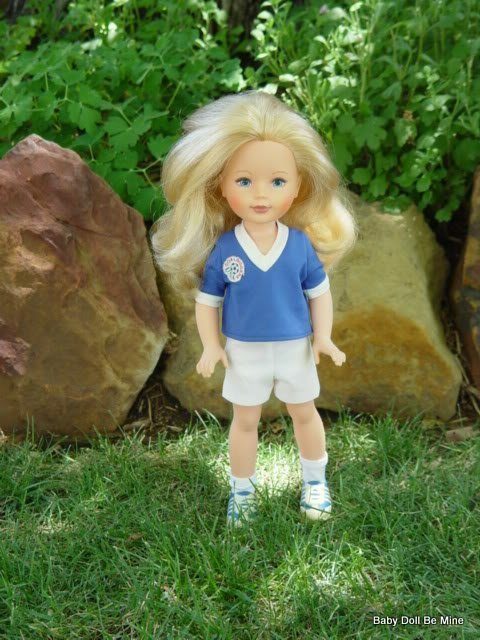 We are authorized Marie Osmond retailers and your doll will come to you new and never removed from the box with all her paperwork.